At Deer Creek Electric, we pride ourselves in exceptional work, attention to detail and customer service. 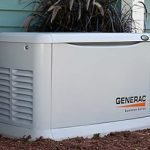 We have the highest confidence in our Generac Generators, solar installations and service upgrades. Take a look at our reviews. Here is what our customers had to say about our work! We have recently purchased our home about a year ago. We have been having some issues with some electrical stuff in relation to our generator and dryer. Brian came out and personally saw to it that he help fix the problem for us. It has made our transition to our new home much nicer! We are very grateful! Great crew! These folks were VERY accommodating! I am thoroughly please with your services, your follow up, and all of your representatives. I would highly recommend your company to anyone! I look forward to continuing a relationship. GREAT JOB! Excellent service! Very professional. Very helpful! I thank you! The deer creek staff has been terrific! The owner, instillation staff, and the office personnel have all been great to work with! Thank you deer creek! Nice Job! I would recommend to anyone! Very pleased with the quality of work! I was very pleased with the quality of work done by each of the employees I was in contact with. Everyone was VERY professional at their job. Your employees have been professional and respectful! It has been a pleasure to do business with Deer Creek Electric! Thanks! All activities were expertly and professionally complete. Excellent work! Thank you for the work you performed! I’ve never had a more professional job done! This was a perfect job done! The team was very professional and neat! On time, courteous, and professional! The crew was VERY thorough and polite. Very satisfied with the work that was done at our residence! Dana and the men doing the job are a pleasure to work with! Thank you for your job! The project went well and I’m happy. The only thing I would offer for improvements is that if there could be more communication during the instillation phase. The install went VERY well and it looks GREAT! Thank you very much! The install went VERY well and looks GREAT! I’m ready to see this generator perform when needed! Thank you! The electrical inspector gave them a huge thumbs up! The workmen did a great job! The electrical inspector gave them a huge thumbs up! I am very satisfied! You did a really nice job! Thank you! I would recommend Deer Creek Electric without hesitation! Deer Creek Electric was very responsive to our needs and kept their appointment! I would recommend Deer Creek Electric without hesitation. Brian did an excellent job guiding us through the entire process! You all get an excellent rating!!! From the sales person, to the last guy out of the driveway- you all get an excellent rating!!! The right choice for our home. The proposed solution was the right choice for our home. Your installer did a great job setting up the product. Our generator works great. We are VERY HAPPY with our purchase. They were polite and explained things that they were doing. I was quite happy with Deer Creek Electrics work. Everything was great except the fact of my gas company (BG&E) taking forever to take care of their end of the process. The guys doing the work were 5 STARS, they were GREAT!!! The price on the work was a little high, so I took a half point for that. Very clean, nice looking install. Very clean, nice looking install. Friendly installers. Mr. Samples was courteous, knowledgeable, and prompt. Repaired the problem. Also, recommended some update of safety measures in accordance of observation. I would recommend Deer Creek Electric to any resident needing repair service or updates. Thank you. I was very pleased with your service. Your serviceman was very nice, and he knew his job and did it well. I would give Deer Creek Electric a great recommendation. On Sunday, December 16, 2007 my outside electric service sustained serious damage due to an ice storm & fallen tree. I immediately placed a call to “Deer Creek Electric” (at 4 a.m.) & left a message for Brian Samples describing the damage. Upon responding to my call, Brian arrived at my home by mid-morning to begin repairs. Under very difficult conditions, by mid-afternoon Brian had my electric service repaired & connected my service on a temporary basis so I maintained power until met-ed arrived two days later to restore their damaged facilities. Brian’s concern, compassion & reaction to my situation was & still is very much appreciated by my wife & me. Thank you Brian for a job well done in such a professional & efficient manner!